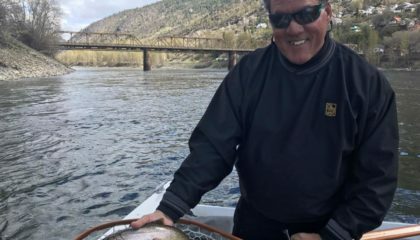 One of the finest fisheries in North America is the Columbia River in the West Kootenay region of British Columbia, Canada. One of the last free flowing stretches of the river runs about 40 km, from Castlegar, British Columbia to the Waneta border near Trail, British Columbia. There are plenty of access points along the river but the best way to tackle this large river is by boat (powered or drifted). The river is big and powerful, so I recommend, as a minimum, a 14 ft boat with a 20 hp motor. There are also numerous places to fish the river from shore but most of the best fishing areas can only be accessed by boat. 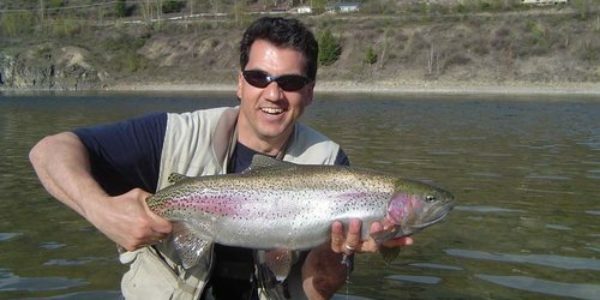 The river contains a variety of sport fish such as, rainbow trout, walleye, rocky mountain whitefish, northern pike, and small mouth bass but I will focus on the rainbow trout. The Columbia River fishes good throughout the year, with prime fishing starting in early March and lasting well into November. The river can be fished all winter but I prefer fishing when ice doesn’t form on my guides and the temperature is above freezing. Let’s start by looking at what you can expect on the Columbia from mid-March through early-May (Spring season). Over the past ten years, the water levels on the Columbia River have become much more consistent and predictable, due to BC fisheries management. 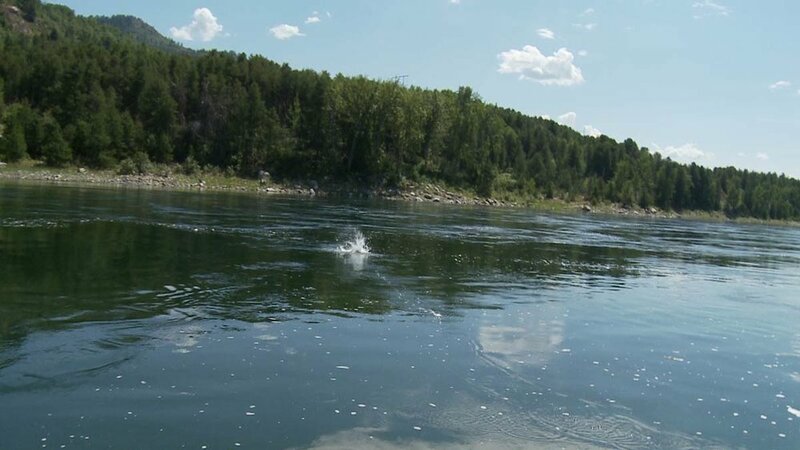 BC Fisheries confirmed that having constant lower water levels (25 to 30K CFS) throughout March and April lead to more productive in-river spawning for both whitefish and rainbow trout. The river takes on a whole new look during this low water period as more shallow water runs are created along with slow moving pocket water sections. The larger fish start moving into these runs searching for food items such as baitfish (sculpin, dace, etc.) and various nymphs (stoneflies, caddis, mayflies, etc.). 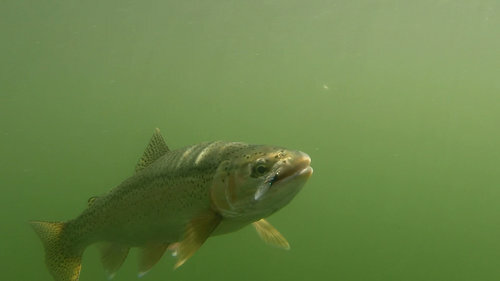 The water temperature, at this time of year, warms to 45-48F (7-9C), which triggers the fish to start feeding more aggressively and causes the baitfish and nymphs to start moving into the runs and other shallow water areas. 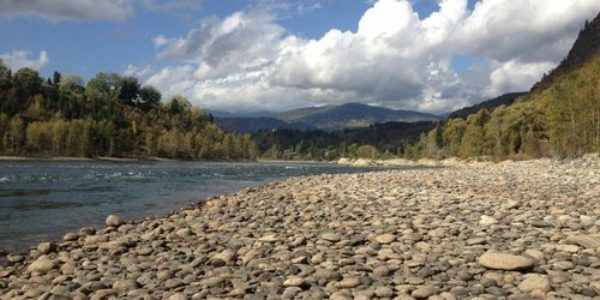 This is why fly fisherman should key on these shallow and pocket water runs during the spring season. Over many years, I have found that the biggest fish, up to 15lbs, are caught during this spring period. The larger fish start moving into the shallow water runs and pockets looking for food and the smaller fish seem to stay in the larger, deeper holes, keying on midge hatches and nymphs. 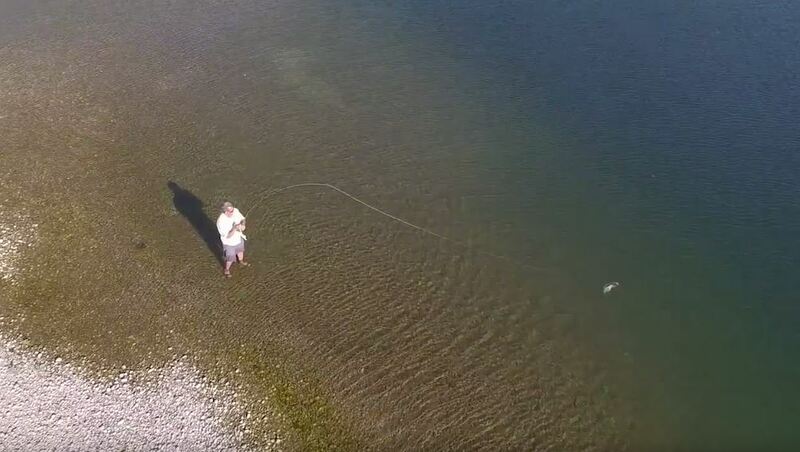 Start fishing at the head of the run and work your fly through the entire run using a down-and-across technique (cast your fly slightly downstream and allow the fly to swing/sweep through the run). Don’t forget to continue retrieving the fly after it’s swung through the run, since many fish follow the fly from the deeper water and only take the fly once its in shallower water. It’s very important that your fly is presented in front of the fish, so make sure your sink-tip line is heavy enough to get you close to the bottom. You could always use a weighted fly or a small weight to get your fly closer to the bottom. The only way to effectively work the larger, deeper holes and back eddies is by boat. I drift my boat along the deeper water seams, cast my fly to the edge of the seam, and allow the fly to drift with the current. The fish seem to stay down about 6 to 8 feet when feeding in the seams of the deeper holes, so I adjust my strike indicator to allow my fly to stay in this zone. Using a strike indicator is not critical but I find it easier to detect takes using an indicator. NOTE: This technique works in the big holes ALL year long. I’ve found that the best section of river to fish during the spring season is from Trail down to the US border, since more runs develop in this section during low water. There are two main boat launches on this stretch of water; one at Gyro Park in Trail and the other at Beaver Creek Provincial Park, near the US border. You can also drift a pontoon boat or drift boat from these two boat launches for a full day of fishing. For a short period of time, during mid May to mid June, there are two main terrestrial insects the fish will key on; Cicada’s and Flying Black Ants. The first warm days of May softens the ground, in which these insects live and allows them to hatch from their underground homes. As these large winged insects fly around they fall into the water becoming available to trout. The Cicada hatch usually lasts until early June but the Black Ant hatch can last well into June. 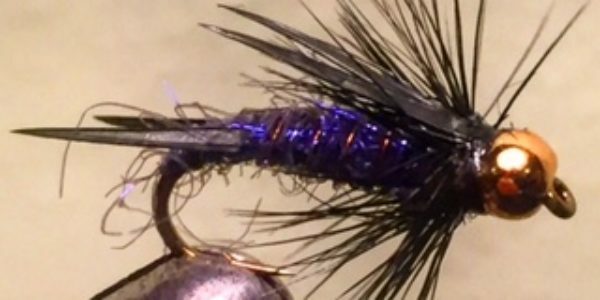 Using flying black ant patterns is a very productive and exciting way to fish. All the action is in the top 1” of water and you will see the fish take the fly 90% of the time. The nice thing about fishing flying black ant patterns is that you can fish it dry (right on top) or wet (1” below the surface). Either way, you will be able to see and feel the take. As the summer season (July through September) kicks in and the weather heats up, the water becomes alive at the surface, as all the aquatic insects begin to emerge. The Columbia has one of the largest Caddis hatches I have ever seen and the fish feed on these small insects right through until late October. 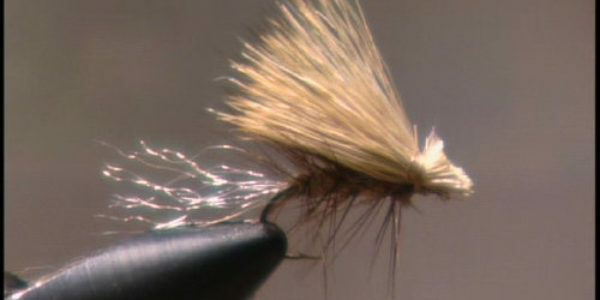 There are also numerous mayfly hatches throughout the summer season, which can be imitated using a size 14 to 12 Parachute Adams in the following colors, pink, light orange, yellow, hairs ear, and black. The most effective way to fish the caddis and mayfly hatches is from a boat but anywhere along the shoreline will also work well during these hatches. The fish tend to hold in deeper, cooler water in the day but as the evening nears they move to the large back eddies to feed heavily along the seam lines where the adult caddis and mayflies emerge. The larger fish (6 lbs+) lazily swim with the current and feed on everything that is put in front of them but this is where the fishing becomes technical! You MUST present your ‘drag free’ fly directly in front of the fish, which is tough to do with the currents pulling your line in every direction and the hatch so thick that your fly is one amongst a million. If you hook 2 to 3 fish per evening you are doing well but each fish could be well over 5 lbs. and will take you 10 to 15 minutes to play. The back eddies literally boil with fish from early July until mid August and obviously, some days are better than others. Generally, if you spend 3 to 4 days on the river, you are bound to hit one great day. The fall season is very similar to the spring, as water levels begin to drop to lower wintertime flows. Use all the techniques explained above, during the fall, and you will have some great days on the water. 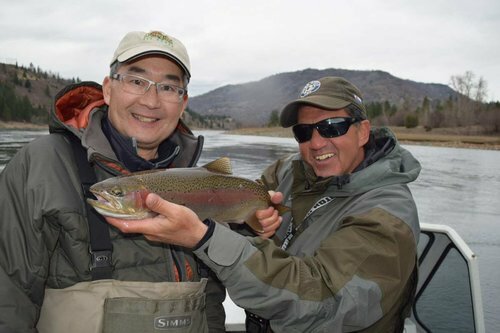 So if you are looking for pristine waters, hard fighting rainbows and plenty of unoccupied water, then the Columbia River in the West Kootenay region of BC should be one of your fly-fishing destinations.